The Fisher Price Smart Phone is a fresh, sleek phone, just for baby. Press any of the \"app\" tile buttons to hear more than 20 learning songs and phrases about numbers, counting, greetings and more. Four colourful lights dance along to the music. Baby can also move the slider back and forth to activate additional songs and sounds.Requires 2 x AA batteries (not included). The foggy friends temperature change bath mat features a colourful print of the adorable characters. The textured mat helps to prevent your child from slipping in the bath or shower. The cleverly designed blue fish reads "too hot" when the bath is too warm, helping you to ensure the water temperature is safe. Easy to clean, made from phthalate free PVC. Suitable from birth. 70 x 40cm. Bring the rainforest to life with music, lights and nature sounds that respond to baby’s movement. During lay & play time, hanging activity toys & motion-activated music encourage teeny-tiny ones to reach, bat & play! Lower the toys or move them to the soft deluxe mat to encourage baby to push up for tummy time fun! Sweet details, including a soft, satiny mat border and large crinkle leaf, offer sensory development as your little one plays. This deluxe newborn gym keeps baby entertained with more than 10 toys and activities, including a removable toucan that features color-changing lights and up to 20 minutes of music in long-play mode. With the Rainforest Music & Lights Deluxe Gym, there are so many fun ways to play, at home or on the go! A seat for play, a seat for feeding, a seat for rest—and it grows with baby. Bat-at toys keep baby entertained and help strengthen baby’s senses. Calming vibrations and a reclining seat help soothe. Easy transitions let you use if from infant to toddler - takes up to 40 lbs (18 kg). This rocker is a perfect grow-with-baby product featuring an infant rocker with a fold-out kickstand that easily converts the rocker to a stationary seat for feeding or sleeping. There is a soft toy bar with three fun, spinning toys. The toy bar removes easily for access to baby and for when toddlers outgrow it. Soothing vibrations and a machine washable pad. Help your little one sit-up with the support from Fisher-Price’s Giraffe Sit-Me-Up Floor Seat. The Sit-Me-Up seat features a brightly coloured, spotted giraffe cushioning, using its face to rest your baby’s head. The Fisher-Price baby seat rewards kicky little feet with fun squeaker sounds from the snail and butterfly buttons. The giraffe seat includes 2 linkable toys, which are easy for children to reach and discover. The robust plastic frame in white features a lime green removable tray to store toys and snacks for your precious little one. When not in use, the Fisher-Price Sit-Me-Up Floor Seat folds flat for space-saving storage. Requires self-assembly. Inspired by the hammerhead shark, the Octonauts\' Gup-Q is an undersea exploration vehicle focused on search and rescue, especially in dark caves. Able to adapt to any rescue mission, this versatile Gup features a glow-in-the-dark dorsal fin and eyelights that can work underwater. The Gup-Q comes with a Kwazii figure featuring glow-in-the-dark arms and legs, a working rescue towline, a creature carrier and a remipede to rescue. 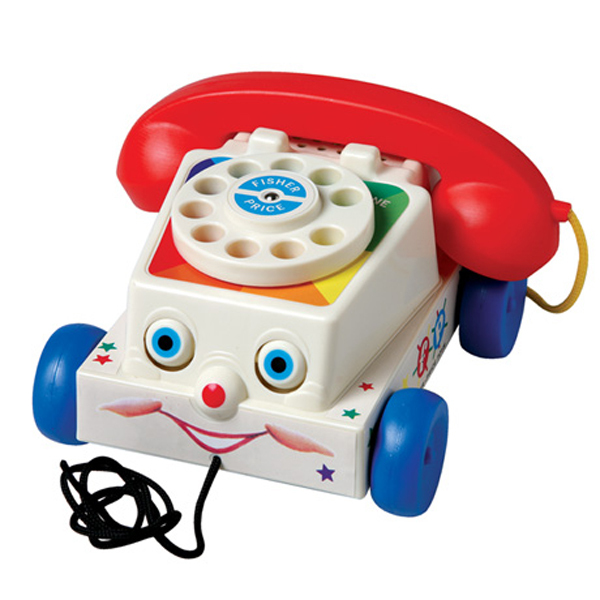 The Fisher Price Classic Chatter Telephone has been bringing fun and laughter to children for years. With its friendly face, spinning dial, fun ringing-phone sounds, and eyes that move up and down as you pull it along, the Fisher-Price Chatter Telephone helps get your baby chatting-and strolling-like a pro! It\'s slime time! The Octonauts find themselves in a sticky situation when the Octopod becomes mysteriously covered in slime! Press the Octopod\'s mouth to see its translucent tentacles light up and glow a cool slime-green color and to hear phrases from the crew. Make a quick exit out of the Octopod using the Octo-hatch in the Launch Bay or search the Octopod for the missing octopus-could he be hiding in Barnacles\' or Kwazii\'s quarters or maybe he\'s escaped to the Garden Pod? The Sea-Slimed Octopod Playset comes with Barnacles in his slime-green Octo-suit, a rescue net, a slimed octopus, a slime catapult and a container of extra gooey slime! On the television show the Octonauts\' missions take place in the water, but this Octopod toy needs to stay on land as it is not intended for water play. The Fisher Price Newborn Laugh & Learn Puppy & Pals Learning Gym brings learning to the youngest audience!This gym has 2 soft arches, a large mat and 7 toys including a soft mirror, sun toy and the Take along Puppy, which is plastic with soft ears.There are 2 modes of learning with age appropriate music/sung songs and learning phrases. Puppy\'s nose lights up when activated, press his belly to hear songs.Fisher Price Newborn Laugh & Learn Puppy Pals Learning GymThe Fisher Price Newborn Laugh & Learn Puppy Pals Learning Gym is suitable from birth.Requires 3 x AA batteries (included). The Fisher Price Think & Learn Code-a-pillar inspires little learners to be big thinkers by engaging in hands-on, open-ended discovery that helps them become lifelong learners!This learning toy encourages experimentation while developing important skills like problem solving, planning & sequencing and critical thinking.Pre-schoolers can arrange (and rearrange) the easy-to-connect segments in endless combinations, sending Code-a-pillar on a different path each time. They can even configure the segments to make Code-a-pillar reach targets set up throughout the room - there\'s no end to the combinations kids can make!Code-a-pillar is part of the Think & Learn range from Fisher-Price that goes beyond ABCs and 123s to help children learn how to think independently and embrace 21st century skills like experimentation, curiosity and problem solving in ways they haven\'t seen before.Includes 1 sound segment, 3 straights, 2 right turns and 2 left turns to send the learning fun in endless directions!Requires 4 x AA batteries (included). Everywhere baby looks there is something fun to do. Features: spinning seat, busy toys, drum, music, lights and exciting sounds. Adjustable height as the baby grows. Requires 3x AA 1.5v batteries. It starts out as a newborn seat or rocker with a low-profile frame, very appropriate for newborns. Then, as your child grows, you can easily convert it to an infant seat with a removable toy bar. As your little one continues to grow not so little anymore, it transitions into a toddler rocker for children up to 18kg. Foldable, portable and rockable ¦ whats not to love? Deluxe newborn gym with 10+ toys and activities and a removable, take-along toucan with music and dancing lights. Baby kicks. Music plays. And that's just the beginning. Movable toys on the overhead gym encourage baby to bat and grasp. Move the arch down for tummy-time play or let baby sit and entertain you with a piano concert. And now with a removable piano, you can take the musical fun wherever you and baby go. Who likes to move? Fisher Price Dance & Move BeatBo does!Get the dance party started by pressing BeatBo\'s tummy or any of the buttons on his feet to activate fun songs, learning content and dance moves. This futuristic friend even allows mommy or baby to record a phrase, and he\'ll remix it into his favourite song.There are 3 modes: Dance \'n Move, Learning & Games, and Customised Sing-Along. BeatBo will be a forever friend for years to come and through all the play, he will introduce baby to letters, colours, counting, music, cause & effect and much more.Requires 1 x AA batteries (included). Kids will love pretending to own their own grocery store or market with this Fisher Price Cash Register Till. The Fisher Price Cash Register Till features a real working calculator, pop-out drawer, credit card scanner and a play bar-code scanner that really beeps! The Fisher Price Cash Register Till is a great toy to help kids learn cognitive, educational and developmental skills through real life scenarios!Requires 2 x AAA batteries (included). Make tummy time wildly fun with this portable mirror. Open up the easy-to-seal closure and watch the bright colours and patterns unfold. One side features colourful animal pals, and the other side features a mirror that\'s just the right angle for tummy time. There\'s so much sensory-stimulating fun, including a panel right within baby\'s reach that crinkles, a monkey that squeaks, a parrot that jingles, bananas that clack, fleece grass that\'s soft to touch, and that great-big mirror for self-discovery. And when it\'s time to put baby (and the fun) to bed, just fold it up for easy storage. Reaching in for cookies makes music play; pull your hand out and music stops. Stop-and-start songs teach about making things happen, and fun phrases are sure to make baby giggle. There are five cookie shapes-each a different colour for baby to identify. Baby learns to identify shapes and numbers, in your choice of English or Spanish, while enjoying fun surprises!Requires 3 x AA batteries (included). Please note: This is an assortment pack. 1 will be supplied and picked at random. Colours and decorations may vary.Shake it, baby! Your little one\'s favourite playtime pals are back in pint-size form, so kids can move and groove on the go. Get the party started by batting their wobbly heads to activate their bright lights, playful tunes and silly dance moves. Help little ones boost fine motor and thinking skills as they shimmy and shake with portable, handheld Bright Beats Juniors BeatBo and BeatBelle. Collect them all!Requires 2 x AA batteries (included). Inspired by the mirror room on the shimmer and shine television show! Turn the jewel on top of the playset to spin the mirror and reveal shimmer, shine and Princess samira! Leah can have a seat on the swivel-out cushion and there's even a spot for her pet fox, parisa! Decorate the mirror with the included jewels or hide them behind the secret doors! Includes playset, Leah, parisa, six gems and a hairbrush. Please note: This is an assortment pack. 1 will be supplied and picked at random. Colours and decorations may vary.Collect all the Fisher Price Food Sets with these Fisher Price Food Assortment Packs. These packs include Counting Pizza Set, Peanut Butter and Jelly Set, Balance Plate Set and Stacking Burger Set. Collect yours today! A seat for play, a seat for feeding, a seat for rest—and it grows with baby!Bat-at toys keep baby entertained and help strengthen baby’s senses. Calming vibrations and a reclining seat help soothe. Easy transitions let you use it from infant to toddler—up to 40 lbs (18 kg).Features:• Use from infant to toddler—up to 40 lbs (18 kg)!• Fold-out kickstand & reclining seat for feeding or napping• Bat-at toys & musical butterfly help stimulate baby’s senses• Deep cradle seat with calming vibrations helps soothe younger babies• Toy bar easily removes for older babies to sit & play• Easy conversion to toddler rocker• Removable, machine washable pad• Secure, three-point restraint• Requires 1 D battery• Includes 3 replaceable Button Cell Batteries SensoryBat-at toys & musical butterfly help stimulate baby’s senses.Security & HappinessDeep cradle seat with calming vibrations comforts & soothes younger babies. Soft and cuddly Soothe & Glow Seahorse¢ plush soother toy helps soothe baby to sleep with a gentle, comforting light glow, 8 lullaby and classical tunes, and soothing ocean sounds. After approximately 5 minutes of continuous play, the sounds and music fade and the light glow dims to dark. If baby wakes up during the night, another hug from baby wakes the ocean blue seahorse up, too, for another 5 minutes of soothing. Meet Shine! Shine is a courageous and confident genie who is always ready with witty words of wisdom. She's spunky, bold and loves animals, especially her pet Bengal Tiger cub, Nahal. Dressed in her teal satin genie outfit and featuring a soft bright-blue ponytail, this pretty Shine doll is sure to delight any little genie-in-training. Shine also comes with special genie gem stickers and a comb shaped like Nahal. Shimmer is approximately 15 cm (6 in). There’s a fun clicking sound when you push down the handle. There’s even a toilet paper holder. With songs to learn and encouraging phrases and sounds to discover, the Cheer for Me! Potty really does make potty training fun! Because it looks similar to a real toilet, it encourages kids to make the transition to the grown up “potty”. Requires 3 AA batteries.Better for Baby…Songs and sound effects reward success and provide motivation for return trips.Realistic elements of potty encourage transition to grown-up toilet.Better for Mum… Bowl removes for easy cleanup.Can be used on a regular toilet seat to help with transition. Bring your little one's dreams of stardom to life with the Fisher-Price Laugh & Learn Rock & Record Microphone! Whether they're belting out and recording their own voices or singing along with Puppy's fun learning songs, kids will have a blast rockin' out with this cool mic. Karaoke with a cool learning twist! While little ones are jamming to Puppy's tunes, they'll also be learning�from the alphabet and counting 1-20, to advanced colours and opposites! Plus, colourful "dancing" lights take the excitement up a notch. It surrounds baby in the comfy, cosiest fabrics with a deep seat design that gives them a wonderfully secure feeling. The soothing continues with calming vibrations. And when it’s time to play, baby will enjoy pulling down on the musical owl, or playing with the removable teether & clacker toys. Additional features include an easy-to-remove toy bar, non-skid feet and a secure three-point restraint. Requires 1 AAA and 1 D battery (not included). Developmental Guidelines: Use from birth until child is able to sit up unassisted.Maximum Weight: 25 lbs. (11,3 kg). Soothing and entertaining for baby, and a modern new design for mum! This sleek-looking bouncers seat is soft, comfortable, and machine-washable"in a colourful Rainforest Friends fashion! With the press of a button, calming vibrations help soothe and comfort baby. And when its time to play, two rainforest animal friends on the removable toy bar encourage baby to reach and bat"a great way to help strengthen motor skills and eye-hand coordination! Soothing and entertaining for baby, and a modern new design for mum! This sleek-looking bouncers seat is soft, comfortable, and machine-washable"in a colourful Rainforest Friends fashion! With the press of a button, calming vibrations help soothe and comfort baby. And when its time to play, two rainforest animal friends on the removable toy bar encourage baby to reach and bat"a great way to help strengthen motor skills and eye-hand coordination! The Fisher Price jungle puzzles changing mat features a colourful print of adorable animals and jungle leaves. The mat is softly padded with foam for comfort, waterproof and is easy to wipe clean. Made from phthalate free PVC. Size: 75 x 46cm. All aboard the dancy party train with BeatBo, BeatBelle, and BeatBowWow! When your little conductor presses the light-up smokestack to send this motorized train chugging along, they'll hear exciting music and phrases that introduce the alphabet, colours, shapes, and more! Plus, with Smart Stages technology, you can change up the learning fun to best fit your baby's age and stage!Ages from 6 months.Requires 2 x C batteries (included).Size 6.4 x 26.7 x 26.7cm. Soothing and entertaining for baby, with a modern new design and cute Rainforest Friends pattern for mum! This sleek-looking bouncer’s seat is soft and comfortable, with calming vibrations to help soothe baby. When it’s time to play, two rainforest animal friends on the removable toy bar encourage baby to reach and bat—a great way to strengthen motor skills and eye-hand coordination! Calming vibrations help soothe baby machine-washable seat pad in adorable rainforest friends pattern. The Fisher Price reach the sky changing mat features a colourful stack of adorable animals. The mat is softly padded with foam for comfort, waterproof and is easy to wipe clean. Made from phthalate free pvc. Size: 75 x 46cm. The sweet lion, crocodile and elephant easily link to each other and to your stroller so theyre always close at hand when your little one needs some play time. And theyre full of fun " with a mirror or cute sounds (Jingle! Rattle!) to keep baby busy. Make childhood fun and enriching while building skills that will last a lifetime with Fisher-Price toys. Let those magical surprises take a colourful and functional turn while you mi x fun and learning with Fisher-Price child safe toys. Crusher is practicing his aim with his new cannon blaster so he can stop Blaze from winning the big race! Kids can set up the target, choose the angle, and press the button on the blaster to send the pineapple, barrel or boxing glove right through the hoop! Includes die-cast Crusher truck with his blaster and five play pieces. Ages 3+. Five linkable toys plus an adorable take-along musical lion with fun sounds and two music modes keep baby busy on a comfy, padded, portable activity play mat with two soft play gym arches overhead. Music plays for up to 10 minutes in long play music mode, and you can rearrange the linkable activity toys to change the experience for baby, every time she plays! 2 AA Batteries.Five linkable toys plus an adorable take-along musical lion with fun sounds and two music modes keep baby busy on a comfy, padded, portable activity play mat with two soft play gym arches overhead. Music plays for up to 10 minutes in long play music mode, and you can rearrange the linkable activity toys to change the experience for baby, every time she plays! 2 AA Batteries. Help soothe baby at home or on the go with starlight projection and 30 minutes of relaxing music or sounds!This plush hippo pal sits on a dresser or table top to help soothe baby, filling the room with starry lights and 30 minutes of calming lullaby music, nature sounds or white noise! Baby should be drifting off to dreamland in no time!Features:• Place this plush hippo pal on a dresser top for immersive starlight projection from the dome on his back• Three audio modes play up to 30 minutes of lullaby music, white noise or soothing nature sounds• Plush, cuddly head & legs• Helps create a comforting & soothing bedtime/naptime routine at home or away! Adventure is literally at your child’s fingertips with R/C Thomas from Fisher-Price! Thomas will move forward and backward as children direct him with the easy-to-use, easy-to-hold remote control. He’ll also deliver fun sounds and phrases for a truly interactive experience. Plus, the remote features large, colour-coordinated directional buttons, so R/C Thomas is perfect as the first hands-on, remote control experience for your child! Uh oh! That tricky truck, Crusher, has built a Bigfoot Robot to stop Blaze from winning the big race! But brave Blaze can transform into a wrecking crane and use force to knock the robot out of the way! Swing Blaze's crane to knock over the robot and send the barrels that block his path rolling away! Includes die-cast Blaze truck, Robot and three barrels. Ages 3+. Little People Eddie is going fishing-would your little one like to go along? The Little People Fishing Boat comes with Eddie built right in, and it can really zip and zoom! Load it into the trailer and let the truck pull it to a favorite fishing spot . These five cubes in bright colours can be stacked, into each other or side by side for a colorful landscape. On each of the 5-sided dice are interesting structures, cute figures, figures and well-known items that can discover the child. When stacking the gross motor skills and the child's hand-eye coordination to be promoted. The thinking and problem-solving ability is enhanced when the child finds out how it must be stacked inside one another and the dice. From 6 months. Putting a hand in this smiling cookie jar rewards baby with fun surprises! As they place one of the five cookie shapes into the jar, they’ll be rewarded with sounds to encourage them to try again. Two different modes teach shapes or numbers and it comes with songs and phrases.Developmental Benefits - Encourages reaching and grasping, helping to develop your baby’s hand-eye coordination Introduces an early understanding of shapes, colours and numbers with fun sounds and songs. Babies love the fun and repetition of put-and-take play. It's fun for baby to put the blocks in the bucket one by one and then exciting to dump the bucket so all the blocks come tumbling out, over and over and over again. And while they're having fun, they're exercising important developing skills too, like eye hand coordination (and other motor skills as they grasp, put, take and dump), and thinking and problem solving skills.Recommended Age: 12 months +. Bring Stripes' dynamic personality to life with this hybrid 2-in-1 vehicle that's both a rolling Monster Machine and an articulated action figure! Stripes rolls along as a normal monster truck, but with full bending and posing action, you can morph him into an articulated figure! Extend and bend Stripes' shock absorbers and tires to flex him into all kinds of high-energy poses. His shocks also telescope out for even more transforming possibilities. Pose and roll him in monster-morphing action that's only limited by your imagination! The perfect bedtime friend for baby!This soothing, cuddly owl lights up and glows, with hoot-hoot sounds and over 15 minutes of soothing music – just give it a gentle squeeze.Features:• Plays charming hoot-hoot sounds & over 15 minutes of soothing music• Soft, cuddly and soothing with a calming, glowing belly• Baby activates music & sounds with a gentle squeeze, introducing cause & effect• Teethable feet• Soft knits and plush fabrics• Woodland owl toy• Requires 2 x AA batteriesAge Grade Birth +. She's the same soft, cuddly friend that responds to baby's touch with silly sayings and sing-along songs " but now Sis has Smart Stages technology that changes the learning content as baby grows. Whether you're headed out to run some errands or grab a bite to eat, the Rollin' & Strollin' Dashboard can keep your favourite copilot busy with tons of hands-on activities. The dashboard easily attaches to the stroller with a link, so all the exciting playtime activities are right at your baby's fingertips. From honking the horn and turning the lion steering wheel that plays short tunes, to clicking the zebra gear shifter and "inserting" the key to the ignition, there's so much for babies to do and explore! Where development comes into play Curiosity & Wonder: As babies turn the steering wheel to activate the songs, they'll discover that their actions can make fun things happen – hey, that's cause & effect! Fine Motor: Grasping and interacting with the steering wheel, key teether and gear shifter helps foster hand-eye coordination and fine motor skill development. Features two large ear teethers and a ring-shaped handle that are easy for baby to grasp & hold. There are even three peanut teethers on the ring to provide additional relief! The Table Time Cups n' Coaster is a set of toddler appropriate cups and coaster that guides children on how to use an adult cup while preventing accidental spills. The coaster provides a target to place that cup on the table. Soft grip material helps keep the coaster secure on any flat surface like a table or high chair. Cups and coaster are BPA free and dishwasher safe. This version includes 4 colourful, gender-neutral cups. Your baby can get into the gaming fun with this Laugh & Learn toy video game controller, which features two "gaming" modes and lots of hands-on activities! As little gamers move the joystick and press the ABCD and number buttons, they'll hear exciting songs, sounds, and phrases that introduce numbers, shapes, colours, and more!Ages from 6 months.Requires 3 x AAA batteries (included). The perfect first puppy for little walkers. Pull Lil' Snoopy along for ear-wiggling, tail shaking, barking fun — no batteries required!Pretending to take Lil’ Snoopy for a walk — grasping the leash and pulling him along — will help develop fine and gross motor skills as well as the power of imaginative play. Give your child ideas about other ways to take care of Lil’ Snoopy, like providing a pretend water or food dish. It’s good preparation for the day when you may be asked for a real puppy!Approx. H18cm x L21cm x W12cm. Loaded with buttons, songs & learning fun, this interactive Laugh & Learn toy remote control will really click with baby. For starters, it looks like a TV remote to make the pretend play more real. And when little ones press the buttons, the screen lights up and theyre rewarded with songs & phrases that teach numbers, ABCs, opposites, colours and more. What a great way to give fine motor skills a push in the right direction! Loaded with buttons, songs & learning fun, this interactive Laugh & Learn toy remote control will really click with baby. For starters, it looks like a TV remote to make the pretend play more real. And when little ones press the buttons, the screen lights up and theyre rewarded with songs & phrases that teach numbers, ABCs, opposites, colours and more. What a great way to give fine motor skills a push in the right direction! More bouncy, jumping, motor-skill-building Jumperoo fun for baby than ever - in a portable, height-adjustable, space saving design. Baby’s favourite Fisher-Price Rainforest Friends are ready to play on the soft-sided activity toy arch - with even more sensory-stimulating activity toy play right at baby’s fingertips. Your little one will love reaching big milestones with the Puppy \'n Pals Learning Gym, from gaining strength during tummy time to being introduced to first words, colours and more! Six repositionable activity toys, including a sunny self-discovery mirror and a kite rattle, keep your baby busy as a bee. The crinkle mail right on the mat is fun for your little one to explore. As little ones press on Puppy\'s play pad, they\'ll hear songs and phrases that introduce them to shapes, animals, colours and more. Shake it baby! Just the right size for little hands to grasp and shake, the Shake 'n Rattle Maracas will get baby rattling and rocking to the beat in no time. Your baby will love shaking and making music with these colourful maracas. While your little one is playing, important skills are developing. Colourful rattle beads whirl around on one side as baby shakes, and a soft pom-pom adds texture on the other end, both of which stimulate your baby's senses. Grasping and shaking the maracas helps strengthen gross motor skills. Make some noise " place a rattle in baby's hand and gently shake it. As baby begins to have control over grasping " they can hold on and let go on purpose " your baby will probably be interested in grabbing, shaking, and dropping a rattle. Bounce to the moon and back, all in a day’s worth of playtime. There’s so much for baby to discover with rainforest pals on this jumperoo - music, lights and exciting sounds reward baby with every jump. A rotating seat gives baby 360 degrees access to toys, activities and friends all around, including soft monkeys overhead, spinners, clickers, a bead bar, mirror and so much more, all within baby’s reach. Baby can reach, grasp, move, groove and jump so high - all things that give developing motor skills a helpful boost. And it’s easy-peasy to fold for storage and portability. The 3-in-1 Spin & Sort Activity Center keeps playtime going as your baby grows from infant to toddler! It starts as a sit-in infant entertainer with a spinning seat and moveable activity pods for 360 degrees of hands-on play. As your baby grows from spinning around, to sitting up on their own, their movement and motion skills keep going and growing! Baby kicks. Music plays. And that’s just the beginning. Movable toys on the overhead gym encourage baby to bat and grasp. Move the arch down for tummy-time play or let baby sit and entertain you with a piano concert. And now with a removable piano, you can take the musical fun wherever you and baby go. Baby kicks. Music plays. And that’s just the beginning of this sweetly styled, oh-so-pink gym. Movable toys on the overhead gym encourage baby to bat and grasp. Move the arch down for tummy-time play or let baby sit and entertain you with a piano concert. And now with a removable piano, you can take the musical fun wherever you and baby go. It starts out as a newborn seat or rocker with a low-profile frame, very appropriate for newborns. Then, as your child grows, you can easily convert it to an infant seat with a removable toy bar. As your little one continues to grow not so little anymore, it transitions into a toddler rocker for children up to 18kg. Foldable, portable and rockable … what’s not to love? It starts out as a newborn seat or rocker with a low-profile frame, very appropriate for newborns. Then, as your child grows, you can easily convert it to an infant seat with a removable toy bar. As your little one continues to grow not so little anymore, it transitions into a toddler rocker for children up to 18kg. Foldable, portable and rockable … what’s not to love? The magical world of the rainforest comes to life with music, lights, nature sounds, and lots of activities and textures to stimulate your growing baby. The comfy floor quilt has a soft, silky border and colourful arches supported by a friendly giraffe. A variety of links let you attach toys up above or down below. Rainforest friends are everywhere--a soft monkey, jingly toucan, elephant and parrot with spinning paddle and more. Movable and stationary toys encourage exploration on the overhead gym or for tummy-time play. Baby can also enjoy a spinner with rattling beads, spinning butterflies, a shiny mirror and a crinkly leaf for peek-a-boo fun. 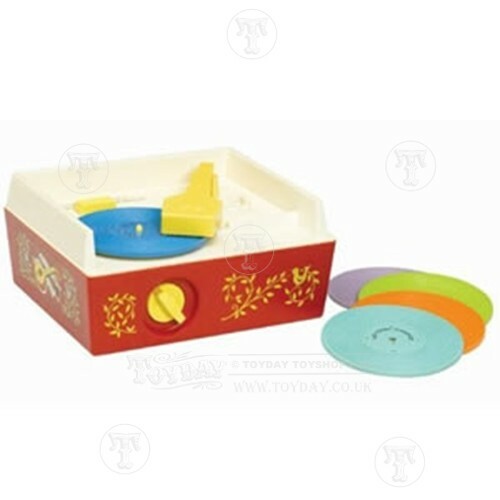 Lively rainforest sounds and music play for up to 20 minutes. Includes volume control for quiet play. Fisher Price Rainforest Grow-with-Me Projection Mobile New deluxe mobile, with our best projection ever, that transitions to a dresser-top soother. It has 2 modes: crib-attaching Mobile with canopy projection and dresser-top Soother with ceiling projection. This adorable froggy seat provides a comfy and supportive place for baby to relax and play. The upright position gives baby a good view of the world around them and encourages interaction in a new way. The soft, upright seat and wide base provide sturdy support. Two linkable toys keep baby entertained, including a butterfly with soft wings and a flower teether. Take the seat on-the-go; it folds for easy portability and storage. The seat pad is removable and machine-washable for easy cleaning. The Fisher-Price My Potty Friend add variety and fun to the potty training process and because it looks similiar to a real toilet, it encourages kids to make the transition to the grown up \'potty\'. It plays encouraging phrases, 2 full songs and makes sounds to encourage the child. A wetness sensor ensures there\'s a sound reward upon each success. Requires 3 x AA batteries (not included). It makes a fun clicking sound when you push down the pretend \'flusher\' and there\'s a toilet paper holder, too. With songs to learn and encouraging phrases and sounds to discover, the My Potty Friend really does make potty training fun. The handles help toddlers feel secure and it can be used on a regular toilet seat, complete with songs and sounds. Not recommended for use on padded toilet seats, however, as this can create marks. My Potty Friend has a lid that opens and closes, the bowl removes for easy clean up, there\'s a flip-down deflector shield included and the toilet paper holder slides in and out. Suitable for 18 months upwards. 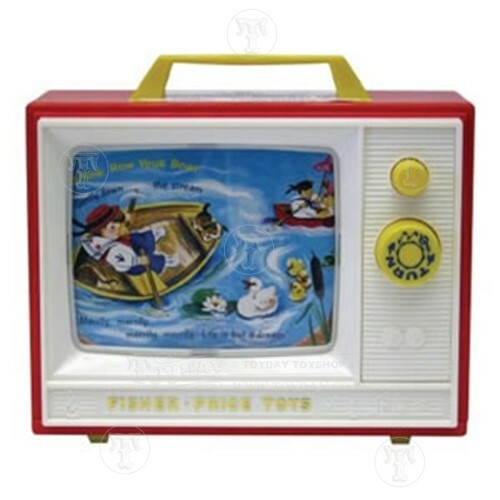 A Classic fisher price TV that will take you back to your own childhood. Suitable from Ages 12 Months and up. A press of BeatBo’s tummy or any of the buttons on his feet activates fun songs, learning content and dance moves. This futuristic friend even allows mummy or baby to record a phrase, and he’ll remix it into his favourite song! His 3 modes – Dance ‘n Move, Learning & Games, and Customized Sing-Along – “grow” with baby to make him a fun, entertaining companion for years to come! And all the while, he’s introducing baby to letters, colours, counting, music, cause & effect and much more! Requires 4AA batteries. Need a boost? This sleek Fisher-Price booster seat is perfectly portable and easy to clean. Smooth surfaces don\'t trap crumbs and the removable dishwasher safe tray insert features a sippy cup holder and divided sections - no need for a plate, your child can eat on the go. The padded seat has a 3 point harness for safety. The Fisher Price Windmill Sit Me Up Floor Seat is relaxing for your baby and convenient for you. Made with soft fabrics and a wide base, it helps to comfortably support your little one as you sit them up to interact with the world around them. The upright seat is the perfect place for your baby to sit as they reach for the attached linkable toys, while the tactile play encourages their gross motor skill development. Parents will love the fact that this seat folds flat too, making it easy to store or take with you on family visits or on holiday. The seat pad is even machine washable too! Use the Windmill Sit Me Up Floor Seat only with a child who is able to hold head up unassisted and who is not able to climb out or walk. Disney Princess characters Belle and Cinderella each had magical moments on the dance floor. And now, with the Disney Princess Musical Dancing Palace by Little People, little ones can recreate those special moments for themselves! Spin the lever to see Disney Princess figures Belle and Cinderella spin and twirl around the dance floor with Belle\'s prince. That\'s when the magic happens: music, sounds and phrases like Isn\'t this music beautiful? all help bring the pretend play to life! 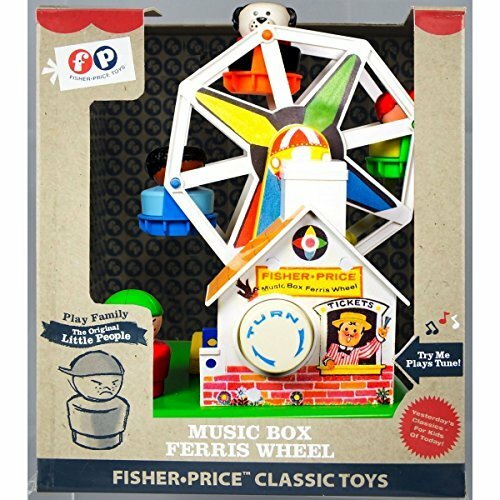 The musical ferris wheel from the fisher price classics range. This musical activity gym is the perfect spot for your baby to lay and play or enjoy some tummy time. The soft, comfortable play mat features a sweet Butterfly Dreams scene and a colorful archway with five hanging activity toys for your little one to bat-at, jingle, or teethe. And with the take-along musical cloud, featuring two musical settings for long or short play, you can bring the fun along wherever you and your baby go. Where development comes into play; Sensory: A variety of colors, textures, and sounds stimulate and engage your baby\'s developing senses. Gross Motor: As tiny ones lay beneath the archway, they can reach for and bat-at the toys. And they\'ll strengthen their neck and core muscles during tummy time play. Fine Motor: Grasping the hanging toys and bringing them to their mouth helps develop hand-eye coordination and dexterity. Who\'s ready to rock? this musical octopus sure is. With three ways to play, think and learn rock top us helps kids explore a variety of musical styles while learning about different instruments, rhythmic patterns, and more. Rock top us comes with 6 musical instrument pods for pre-schoolers to mix (and Remix) and let their creativity flow. Download the free rock top us app and let your mini-maestro create their own music videos with their new composing pal. Inspiring little learners to be big thinkers. Instruments and facts: rock top us helps kids discover how different instruments sound, explore fun musical facts, and even lets them compose their own tunes. Rhythmic patterns: when pre-schoolers create music with rock top us, they\'re counting and creating patterns. Rock top us teaches other math concepts too, like addition and subtraction. Attention and listening skills: young composers follow directions from rock top us during fast-paced games that help develop attention skills. Boom Zahramay! Up and Away! Imaginations soar to new heights with a Shimmer and Shine Magic Carpet! Little genies can lift the carpet up and pretend to fly into enchanted adventures while the carpet magically flutters and moves up and down in a realistic flying motion! The magical journey is complete with lots of fun phrases that change as little genies play-just tilt the carpet up and down to hear over 40 phrases and magical sounds! The carpet comes with Shimmer and Shine dolls, each dressed in sparkly genie pants and featuring soft ponytails. Dolls are approximately 15 cm (6 in). All aboard the dancy party train with BeatBo, BeatBelle, and BeatBowWow! When your little conductor presses the light-up smokestack to send this motorized train chugging along, they\'ll hear exciting music and phrases that introduce the alphabet, colours, shapes, and more! Plus, with Smart Stages technology, you can change up the learning fun to best fit your baby\'s age and stage! Where development comes into play Academics: Fun songs and phrases will introduce your baby to the alphabet, colours, shapes, opposites, and more. Gross Motor: Seeing their Bright Beats pals chug along on the motorized train encourages your little conductor to crawl after them! Curiosity & Wonder: Little ones are introduced to cause and effect as they discover how to activate lights, sounds, and motion by pressing the smokestack. Soothing and entertaining for baby, and a modern new design for mum! This sleek-looking bouncer’s seat is soft, comfortable, and machine-washable—in a colourful Rainforest Friends fashion! With the press of a button, calming vibrations help soothe and comfort baby. And when it’s time to play, two rainforest animal friends on the removable toy bar encourage baby to reach and bat—a great way to help strengthen motor skills and eye-hand coordination! Soothing and entertaining for baby, and a modern new design for mum! This sleek-looking bouncer’s seat is soft, comfortable, and machine-washable—in a colourful Rainforest Friends fashion! With the press of a button, calming vibrations help soothe and comfort baby. And when it’s time to play, two rainforest animal friends on the removable toy bar encourage baby to reach and bat—a great way to help strengthen motor skills and eye-hand coordination! Interactive learning buddies Smart Moves Rockit and Glow can\'t wait to play and learn with your baby! The adorable duo interacts with each other and your little one, offering interactive lights, music, and phrases that teach the alphabet, counting, and more. Your baby will love exploring all the hands-on play and watching these two pals interact with each other (and your kiddo!) with bright lights and cool motions. High-five! Rockit can even record what you say and repeat it back with three silly voices! Plus, with Smart Stages technology, the learning content changes as your little one grows! Where development comes into play Academics: Rockin\' tunes and phrases teach the alphabet, colors, counting, shapes, French, and more! Sensory: Get your baby\'s senses dancing with bright, colourful lights, exciting music and motion, and different textures. Curiosity & Wonder: Your toddler is introduced to cause and effect as they discover how to get Rockit and Glow moving with fun lights and sounds. When your little one is ready for walking, the Fisher-Price® Princess Mommy Stroll-Along Musical Walker is ready to provide the steady support she needs! The wide, stable base and easy-grasp handle help steady first steps, and sweet music & lights accompany her as she strolls along. It’s an adorable way to encourage gross motor development and early role play – with lots of fun, hands-on activities, too. A press of the “magic” wand button rewards baby with songs and fun sounds. The clacker beads and butterfly flip book help foster fine motor skills, too. There’s even room for a Princess Chime doll or other favourite friend to push! (Doll sold separately and subject to availability.) Requires 3AA batteries. Thomas & Friends MINIS introduces motorized play for even more fun and excitement! It all starts when you send the included Thomas and James MINIS up the steep vertical lift. The MINIS climb up automatically as the motorized playset lifts them up for an action-packed, multi-track adventure! When the MINIS reach the top of the set, turn the switch to choose your track. The first track is the water track - sending your MINIS down the waterfall and right into a 360 degree loop! Next up is a free-fall drop track headed toward a broken piece of track. Swivel Cranky the Crane to swoop in and rescue your MINI! As your MINI picks up speed, it jumps over the gap and lands on the track ahead in thrilling daredevil fashion. The final track seems headed for nowhere. but have no fear, as your MINIS will simply roll off the edge, defying gravity and rolling upside down along the inverted sky track! Playset includes Thomas and James MINIS engines and works with all MINIS engines (sold separately and subject to availability). Build your Thomas & Friends Track Master world bigger with Fisher-Price Thomas & Friends Track Master Railway Builder Bucket Set. It has over 35 track pieces letting you expand your motorized railway by building a variety of unique, individual layouts or connecting to other Track Master train sets and expansion packs. (Each sold separately) This massive collection includes curved and straight track pieces, buffers and directional switches so you have complete freedom to create your own custom-made Thomas & Friends railway! The bucket acts as storage for your track pieces, and the bucket lid can be built into your layout as a 6-way crossing for your motorized trains (trains sold separately). Create, expand and explore the world of Thomas & Friends with the Track Master Railway Builder Bucket! Let\'s go for a stroll, baby! Puppy is the perfect pal for your growing baby, offering exciting hands-on activities for little sitters and tons of encouraging phrases and support for those first little steps. As little ones grow and go, Puppy will introduce them to the alphabet, shapes, colours, counting, and even Spanish words! Where development comes into play: Academics: Playful songs and phrases introduce your baby to the alphabet, colours, numbers, Spanish words, and more! Gross Motor: Little muscles get a big workout as sitting little ones reach for and interact with the activities and then pull up to stand and walk behind the walker. Curiosity & Wonder: As babies discover how to activate the music and phrases by pressing the buttons or pushing the walker along, they see that their actions can make fun things happen—hey, that\'s cause & effect! Welcome home, kiddo. When toddlers open the little people big helpers home, they'll discover multiple rooms filled with realistic features and lots of hands-on play. As little ones explore the house, playful songs, sounds and phrases encourage them to help around the house, care for their animal friends, and even introduce healthy habits. Little things that make a big difference. Helping others: sung songs and fun phrases teach kids about teamwork, playing together, helping others, manners, and kindness. Imaginative play: with easy-to-grasp figures and a familiar home theme, toddlers can use their imaginations to create stories as they play. Curiosity and wonder: little ones are introduced to cause and effect as they discover that fun sounds, phrases, and actions happen when they press different buttons around the house. The Roadster Racers Garage is the ultimate, all-in-one service station for getting your roadster ready for some ultimate racing action! Bring your car over to the diagnostics station for some quick fixes with the tool cart and gas pump. Mickey Mouse can go along for the ride on the 360-degree spinning lift or take a break at the caf. Your child can bring the vehicle up to Level 2 and press the lever forward to make Mickey's vehicle magically extend into racer mode! Now it's time to head up to Level 3 to make some major modifications. Plug in the supercharged engine, exhaust pipes, and spoiler to turn Mickey's Ramblin' Rover into the ultimate racing machine, his Hot Doggin' Hot Rod! But how's he going to get down? Press the lever and a ramp magically appears on the side of the garage so Mickey can zoom down and get ready to race! Includes a 3-inch (7, 62cm) poseable Mickey figure with a special mechanic's hat along with exhaust pipes, engine, and a spoiler to build Mickey's Hot Rod. Also comes with tool cart, gas pump, table, and chair. Going beyond the Rainbow Waterfall is zahramazing! Inspired by episodes of Shimmer and Shine where the genies sail into magical Rainbow Zahramay, this beautiful doll recreates Shimmer\'s magical transformation! When little genies twist Shimmer\'s hairband, her skirt twirls around to reveal a beautiful rainbow gown! When Shimmer transforms into her new look, she will sing a special song about changing in Rainbow Zahramay and the gem in her headpiece will light up and flash to the music! Kids can press Shimmer\'s jewel for more music and over 30 interactive phrases! Shimmer\'s beautiful rainbow-coloured hair can be styled with the included comb. Going beyond the Rainbow Waterfall is Zahra mazing! Inspired by episodes of Shimmer and Shine where the genies sail through the Rainbow Waterfall into magical Rainbow Zahra may, this beautiful doll features a magical transformation! When little genies twist Shine\'s hairband, her skirt twirls around to reveal a beautiful rainbow gown! When Shine transforms into her new look she will sing a special song about changing in Rainbow Zahra may and the gem in her headpiece will light up and flash to the music! Kids can press Shine\'s jewel for more music and over 30 interactive phrases! Shine\'s beautiful rainbow-colored hair can be styled with the included comb. Make potty training fun and rewarding - with a royal spin on things! This potty “grows” with your child from a training potty with 4 royal tunes that encourage and reward success … to a removable potty ring for use on the regular toilet. Older kids can use it as a sturdy step-stool that helps them get on and off the toilet, and reach the sink to scrub little hands. Handles help toddlers feel comfortable and secure on the potty, built-in splash guard helps prevent mess, and the removable bowl makes cleaning a breeze. When it’s time to transition to the toilet, the potty ring is easy to put on and take off, and adjusts to most toilet seats. Ahoy there. Captain Beau of the travel together friend ship welcomes Mia and your little one aboard. With this 2-in-1 playset, toddlers can set sail on all kinds of imaginative adventures with songs, sounds, and phrases about being kind, traveling and playing together. Roll the ship along to cruise from one adventure to the next, then open it up to reveal a beach adventure playset. Sailing on the friend ship shows kids that wherever they go, friends make it fun. Little things that make a big difference. Friendship: sung songs and fun phrases teach kids about friendship, playing and working together, and being kind to others. Imaginative play: with easy-to-grasp figures and a familiar boat theme, toddlers can use their imaginations to create stories as they play. Fine motor: little hands get a big workout as they grasp the figures and interact with the playset, strengthening dexterity and hand-eye coordination. This grow-with-me activity gym drives nonstop fun from newborn right through the toddler years! Start by taking baby\'s senses on a joy ride with fun activity toys that dangle overhead and a light-up musical steering wheel - perfect to watch for lay & play time. Lower the toy bar to the floor to help little ones cruise through tummy time. (Touching the steering wheel rewards them with fun tunes, encouraging them to push up!) And when baby can sit up, move the toy bar to a 45 degree angle to create a cute car dashboard (complete with fuzzy die and a skunk air freshener that\'s really vanilla scented!). Now, the steering wheel activates fun car sounds. And when your little driver puts the brakes on for a nap or bedtime, toss the soft large mat in the washer to be ready for the next road trip. Here\'s a fresh approach to learning, with 65+ songs, sounds, tunes and phrases that teach first words, early concepts and even some Spanish! plus there are lots of hands-on activities to keep the littlest shopper busy, busy, busy. Baby can sort the four fruit shapes to hear all about fruits, counting and colours. Tons of fine motor activities, like spinning the grocery list roller, dropping shapes through the barrel, flipping the switch to turn the light on and off, and moving the grocery basket slider activate more fun learning content. With the laugh & learn fruits & fun learning market, you can check learning fun off your shopping list! the learning market is also stocked with smart stages technology, which lets the learning fun keep going as your baby keeps growing! each stage is full of different sounds, songs, tunes and phrases that fit your little one\'s age and stage best. Kids can build a bigger Fisher-Price Thomas & Friends TrackMaster, world with the Blue Mountain Builder Bucket! Featuring over 40 colored track pieces, the Blue Mountain Builder Bucket lets children expand their motorized railway by building a variety of individual layouts, or connecting to other TrackMaster toy train sets (sold separately and subject to availability). Plus, the unique colors and styling of the track pieces are inspired by Blue Mountain Quarry, one of the most popular locations on the Fisher-Price Thomas & Friends TV show. This massive collection includes curved and straight track pieces, buffers, directional switches, and risers, so kids can incorporate height and elevation as they create their own custom-made Fisher-Price Thomas & Friends railway! The bucket acts as storage for track pieces, and the lid can be built into the layouts as a 6-way crossing for TrackMaster motorized toy trains (trains sold separately). The TrackMaster Blue Mountain Builder Bucket, gives children the freedom to create, expand, and explore! This interactive snack set helps toddlers practice their polite table manners while they play with their food! little ones can sort the snacks, utensils and cups into slots on their trays for advanced puzzle play. And when toddlers interact and arrange the snacks on their plates, they\'ll be rewarded with fun phrases and songs that teach manners, matching, sharing, and more! (the magic plates even know what\'s served and what\'s missing!) if your child likes their snacks with a side of music, they can press a button for sung songs and playful tunes. And puppy & Sis are here to share the fun (and food) – just push their light-up buttons to hear phrases that encourage sharing and manners. The say please snack set is made even more appetising with smart stages technology that lets the learning fun keep going as your toddler keeps growing! each level is full of different sounds, songs, tunes & phrases that fit your child\'s age and stage best.